Bell has announced a series of helmets that in some ways is the biggest game-changer in the last 50 years. I hate the way that sounds, but in this case it is absolutely a true statement. We are about to see a handful of very relevant super-premium helmet models be introduced or revamped by Shoei, Schuberth and Bell. Good company to be in, without a doubt. 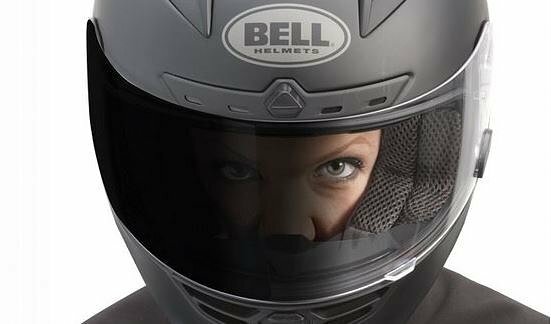 None have excited me as much as the new Bell Star Series, which was presented today by Chris Sackett, vice president and general manager of Bell Helmets, at the American International Motorcycle Expo. Bell brought safety to the forefront with the creation of the original Bell Star back in 1968 and finally is once again breaking convention, pushing boundaries and challenging accepted standards with the new Bell Star line. 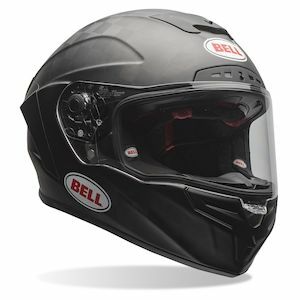 This helmet series will seriously challenge for “best of” honors in the motorcycle community and I will not be surprised to see Bell win a few design awards from outside the industry. I’m thinking Red Dot or I.D.E.A., organizations that recognize groundbreaking designs from all fields and disciplines. The distinctive carbon fiber clearly differentiates the top-of-the-line Bell Pro Star. RevZilla photo. To cover the basics, the new line will include three versions, all of which will be based on a completely new exterior design that really shrink wraps the overall size down to the absolute minimum while maintaining DOT and Snell approval. Gone is the bobblehead look of the old Bell Star with its three shells. The new Star Series will use five individual shells. Bell has continued with the sweeping aerofoil, but moves it off the top of the head, bringing it further out of the wind to eliminate the buffeting the old model was known for. Bell has also developed a completely new shield called the “Panovision” face shield. 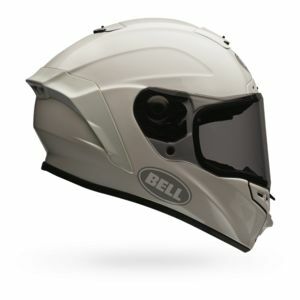 Had Bell offered only this new face shield, it would have met the bar that most manufacturers use to define a new model release. 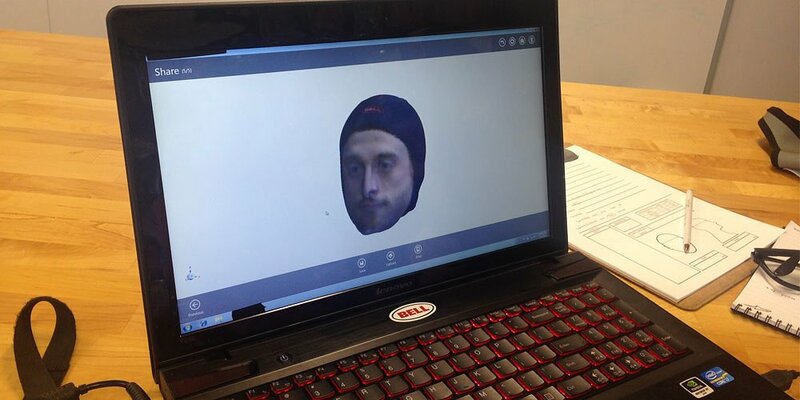 It offers a push-button release that works with such simplicity and repeatability that it makes you wonder why everyone has not come up with such a solution. In Bell tradition, it will be offered in a myriad of colors and options, including the photochromic Transitions shield, and for the first time will be offered in Pinlock, however not both at once. One of the most interesting features of the Panovision Face Shield is the dip you notice on the lower gasket surface on both the left and right side. These cutouts are not just “style” features, but actually came from the Moto2, MotoAmerica and Isle of Man TT racers who were testing the helmet. The notch allows for better side rearward vision, meaning less head turn for lane checks. May not seem like a big deal, until you actually try it yourself. It’s amazing how such a small detail can have such a big impact in everyday use. One of the things that I noticed immediately is how much attention has been paid to minimizing protrusions. Vents are very low profile. Part line tolerances are very tight. You can see the effort that has been put into the details and production techniques. This should really address the other nasty trait that the current Star helmets are known for: noise. Sure, they vent well, but at the price of being one of the loudest helmets on the market. So fit and finish and smart design are fine, but you’re probably wondering how I’m going to back up my statement that these helmets represent a significant advance over the past 50 years. The answer is in the invisible part of the helmet. 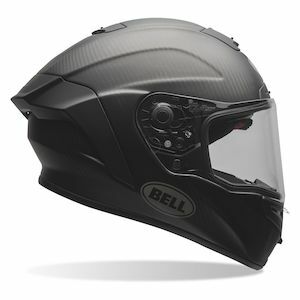 Bell is bringing its Flex Technology, seen in the Moto 9 off-road helmet, to road helmets. The real significance of the Bell Star line is inside where you can't see it. Multiple layers of materials are used on the race versions of the helmet to customize its performance for track riding. RevZilla photo. 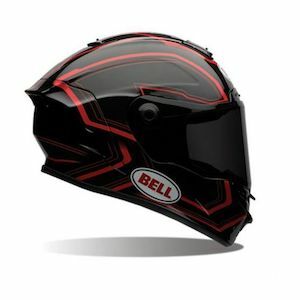 Bell has adjusted and customized the thicknesses of the various layers of EPS, expanded polypropylene (EPP) and expanded polyolefin (EPO) on the two track-oriented versions of the helmets, the Race and Pro Star. This optimizes each helmet for the kinds of impacts a rider is more likely to experience on the street or the track, just the way a rider naturally wears different protective gear in the two different environments. The benefits of slowing the impact speeds in both low- and high-speed crashes is measured in milliseconds. It’s kind of astonishing that the helmet industry has used the same basic EPS material (commonly called Styrofoam) for more than 50 years without any major deviations or developments. Sure, some have come up with EPS liners with multiple densities and multiple pieces, but the material used has been fundamentally the same. I’m sure other manufacturers will take note and I look forward to seeing how the market reacts. I hope it leads others to push those boundaries. The new line will include three versions. The Bell Star is the street-oriented version of the new line. RevZilla photo. The Star will be the more street-oriented of the three helmets and will most likely come in around or slightly higher than the price of the current non-carbon Star. It is most definitely still a sport helmet, but will have a few creature comforts added to make it easier to live with for those who ride on a daily basis, and not in a perpetual tuck. It will use Bell’s Tri-Matrix Shell construction, offered in five different shells. The standard EPS is ever so slightly canted forward by a few degrees, allowing for a more natural fit while riding in a more upright riding position. The interior liner will be Bell’s high-end X-Static liner. A slightly shorter rear spoiler is designed to work better in street scenarios. The Bell Race Star is optimized for track and racing use. RevZilla photo. Next up is the the Race Star, which should come in just slightly higher than the current Star Carbon. Unlike previous Stars, this is not just a 3k carbon-fiber version of the base helmet. In addition to the Flex Technology replacing the standards EPS liner described above, the Race Star version gets the Magnefusion Magnetic cheek pads that are in my opinion the best emergency release system offered by any manufacturer. This is hard-won technology borrowed from the dirt world, where crashes often require very delicate removal of the helmet from an injured rider. As someone who has pulled apart just about every helmet out there, this is something I have personally complained about long and hard. The liner on the Race Star is rotated slightly rearward to increase the upper edge of your vision while in the tuck position. The aerofoil is brought further back to release the air off the trailing edge of the helmet in a smoother wake that minimizes turbulence. And in addition to the magnetic cheek pads, the liner system foregoes the X-Static liner for a liner material called Virus that is not only quick drying and anti odor, but also infuses recycled natural jade into the fibers, which offers a cooling effect on the skin and can reduce temperatures by up to 10 degrees. Looking for the perfect helmet to go with your 60th anniversary Yamaha YZF-R1? Maybe a Cameron Beaubier replica Race Star. RevZilla photo. At the top of the line is the Pro Star. Here, Bell is pulling out all the stops and is shooting right for the top, showing the world what it can do if money is no object. Take everything you just read that is going into the Race Star and now add Textreme Carbon Fiber construction. Textreme produces much of the carbon used in Formula One. Not since Arai offered its wide-weave F1-grade carbon construction has a helmet been offered that has not been a composite construction simply finished with a layer of carbon on the outside. And that Arai would cost you over $3,500! Speaking of which, there is a rumor that the Pro Star also meets ECE standards. Maybe we can get a helmet that truly ends all arguments about which standard is better and have one that passes both. These helmets move Bell from the premium category to super-premium. If the major German and Japanese players were not paying attention to Bell before, you can bet that they are now.